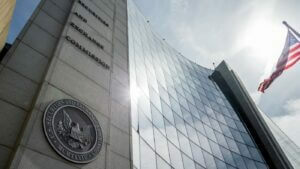 U.S. Securities and Exchange Commission office in Washington, D.C.
Now that August is history, most seem to be turning their attention to the remainder of the calendar year. An event that I think you’ll want to mark onto your calendar is our 10th College Recruiting Bootcamp. College Recruiter believes that every student and recent graduate deserves a great career. In partnership with our friends at exaqueo, we’re co-hosting the College Recruiting Bootcamp on Thursday, December 8th at the U.S. Securities and Exchange Commission office, which is connected to Amtrak’s Union Station. Our College Recruiting Bootcamps each provide an intensive and enjoyable day of training for talent acquisition and other human resource leaders. Attendees enjoy fast-paced, interactive learning environments because we limit keynotes and presentations to 20 minutes and panel discussions to 40 minutes. This lightning fast pace forces presenters, panel moderators, and panelists to be razor focused on their topics.